Envertis Software Solutions is one such Odoo ERP service provider in Australia whose solutions connect multiple business units into a single dashboard. 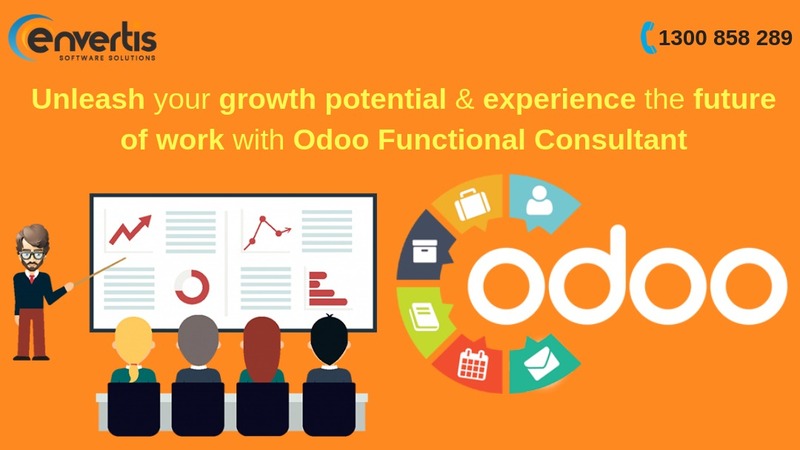 We have dedicated Odoo functional consultant who can guide you with the best software to streamline your business processes. The Odoo based ERP automation keeps a record of all your business modules and is also capable of avoiding human errors, reducing dependency issues and risks. We create solutions for businesses of any scale with improved CRM, service, production unit management etc. to simplify the operational workflow of your business. Being reliable Odoo experts, our team offers end-to-end customised development and consulting services across the world. Hence, contact us shortly and get comprehensive and tailored ERP software for your business domain.